Includes leather-trimmed seats,Bluetooth,backup camera,heated seats/steering wheel,dual climate control,panoramic sunroof,satellite radio,push button start and so much more! Offered fully certified,and professionally detailed. ALL IN PRICING! PRICES INCLUDE EVERYTHING BUT TAXES AND LICENSING. NO ADMIN FEES! Lauria Hyundai's Everyday Value Pricing verifies our entire inventory is priced competitively in the market at all times. In order to guarantee our low pre-owned vehicle prices,Lauria Hyundai has taken advantage of best in class software to track vehicles all across the online marketplace. As you do your comparison shopping,you will see Lauria Hyundai offers some of the best value in Central Ontario. We will provide a CarFax vehicle history report and explain how we arrived at our price. We may not be the lowest,but if you want to know who is,we will show you that too! No hassles,No games,at Lauria Hyundai your vehicle purchase will be fast and easy and you'll drive away with a great deal every time! Totally loaded with features,this is your chance to save big from brand new with an awesome AWD SUV! Includes leather,navigation,Bluetooth,all around camera,19'' wheels,Apple Carplay/Android auto,voice activated controls,panoramic sunroof,heated/memory/power seats,dual climate control and so much more! Includes balance of 5yr/100,000km warranty. Offered fully certified,and professionally detailed. ALL IN PRICING! PRICES INCLUDE EVERYTHING BUT TAXES AND LICENSING. NO ADMIN FEES! Don't forget to ask about the benefits of our Optional Hyundai Certified Pre-owned Program which gives you some incredible finance rates,an additional year of warranty,a 120 point inspection and much more! Lauria Hyundai's Everyday Value Pricing verifies our entire inventory is priced competitively in the market at all times. In order to guarantee our low pre-owned vehicle prices,Lauria Hyundai has taken advantage of best in class software to track vehicles all across the online marketplace. 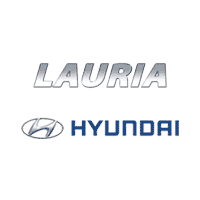 As you do your comparison shopping,you will see Lauria Hyundai offers some of the best value in Central Ontario. We will provide a CarFax vehicle history report and explain how we arrived at our price. We may not be the lowest,but if you want to know who is,we will show you that too! No hassles,No games,at Lauria Hyundai your vehicle purchase will be fast and easy and you'll drive away with a great deal every time! Backup camera,push button start,Bluetooth,dual climate control,and heated seats are just some of the great features included in this Tiguan. Finance from 0.9% - Call today for more details. Former daily rental. No admin fees! Offered fully safety-certified,emission tested,and professionally detailed. Be sure to ask about the benefits of the Optional VW Certified Pre-Owned program including special financing rates as low as 0.9%,roadside assistance,rigorous 112-point inspection,3-month of SiriusXM,and so much more. To qualify for CPO,vehicles need to be under 7 years old and pass very strict VW standards so you know you are only getting the highest quality pre-owned Volkswagen available. Lauria Volkswagen's Everyday Value Pricing Philosophy ensures we maintain our pre-owned inventory at,or below current market value at all times to offer our customers an easy,hassle-free experience every time. We may not always have the lowest price,but we will have a great value on every pre-owned vehicle we offer - ask us to prove it to you! Port Hope's Lauria Volkswagen is a family-run dealership serving Cobourg,Northumberland and the entire Central Ontario region from Oshawa to Peterborough to Belleville. Lauria VW is proud to combine our no-pressure,customer first philosophy with the fun and exciting vehicles you have come to expect from Volkswagen. Come visit our brand new,state of the art facility to see for yourself! The Lauria Auto Group,committed to total customer satisfaction since 1984. Welcome to the Family. *Includes $1,000 Gas Card with Purchase or Finance* 1-owner - In fantastic condition,this Subaru Impreza wagon comes equipped with tons of convenience features and is incredible to drive and super versatile. This is one awesome used car value you don't want to miss. Includes adaptive cruise control,backup camera,alloys,power sunroof,heated seats,Bluetooth,satellite radio,push button start,lane keep warning,All-Wheel Drive,and so much more. Call today to arrange your test drive. No admin fees! Offered fully safety-certified,emission tested,and professionally detailed. Lauria Volkswagen's Everyday Value Pricing Philosophy ensures we maintain our pre-owned inventory at,or below current market value at all times to offer our customers an easy,hassle-free experience every time. We may not always have the lowest price,but we will have a great value on every pre-owned vehicle we offer - ask us to prove it to you! Port Hope's Lauria Volkswagen is a family-run dealership serving Cobourg,Northumberland and the entire Central Ontario region from Oshawa to Peterborough to Belleville. Lauria VW is proud to combine our no-pressure,customer first philosophy with the fun and exciting vehicles you have come to expect from Volkswagen. Come visit our brand new,state of the art facility to see for yourself! The Lauria Auto Group,committed to total customer satisfaction since 1984. Welcome to the Family. *Includes $1,000 Gas Card with Purchase or Finance* Not a rental, this 2018 Passat represents an incredible opportunity to save big on an early new car! Includes backup camera, power sunroof, blind spot detection, Apple CarPlay/ Android auto, Bluetooth, power driver seat and much more!! Call today to arrange your test drive. Finance from 0.9% - Call today for more details. No admin fees! Offered fully safety-certified,emission tested,and professionally detailed. Be sure to ask about the benefits of the Optional VW Certified Pre-Owned program including special financing rates as low as 0.9%,roadside assistance,rigorous 112-point inspection,3-month of SiriusXM,and so much more. To qualify for CPO,vehicles need to be under 7 years old and pass very strict VW standards so you know you are only getting the highest quality pre-owned Volkswagen available. Lauria Volkswagen's Everyday Value Pricing Philosophy ensures we maintain our pre-owned inventory at,or below current market value at all times to offer our customers an easy,hassle-free experience every time. We may not always have the lowest price,but we will have a great value on every pre-owned vehicle we offer - ask us to prove it to you! Port Hope's Lauria Volkswagen is a family-run dealership serving Cobourg,Northumberland and the entire Central Ontario region from Oshawa to Peterborough to Belleville. Lauria VW is proud to combine our no-pressure,customer first philosophy with the fun and exciting vehicles you have come to expect from Volkswagen. Come visit our brand new,state of the art facility to see for yourself! The Lauria Auto Group,committed to total customer satisfaction since 1984. Welcome to the Family. 2016 Jeep Cherokee Limited AWD - Includes $1,000 Gas Card! *Includes $1,000 Gas Card with Purchase or Finance* 1-owner - Loaded with luxury and convenience feature such as Navigation,leather seats,power everything,backup camera,chrome alloys and so much more,this 2016 Cherokee is an awesome SUV you don't want to miss! Clean Carfax Canada Report with no accident history. Call today to arrange your test drive! Offered fully certified,and professionally detailed. ALL IN PRICING! PRICES INCLUDE EVERYTHING BUT TAXES AND LICENSING. NO ADMIN FEES! Lauria Hyundai's Everyday Value Pricing verifies our entire inventory is priced competitively in the market at all times. In order to guarantee our low pre-owned vehicle prices,Lauria Hyundai has taken advantage of best in class software to track over 20,000 pre-owned websites. As you do your comparison shopping,you will see Lauria Hyundai offers some of the best value in the market. We will provide a CARPROOF vehicle history report and explain how we arrived at our price. We may not be the lowest,but if you want to know who is,we will show you that too! No hassles,No games,at Lauria Hyundai your vehicle purchase will be fast and easy and you'll drive away with a great deal every time! 2018 GMC Savana 2500 Cargo - Includes $500 Gas Card! *Includes $500 Gas Card with Purchase or Finance* Ready for work,save big from brand new with this Cargo Van that only has 13,687 on it! Includes Balance of factory warranty. Offered fully certified,and professionally detailed. Former daily rental ALL IN PRICING! PRICES INCLUDE EVERYTHING BUT TAXES AND LICENSING. NO ADMIN FEES! Lauria Hyundai's Everyday Value Pricing verifies our entire inventory is priced competitively in the market at all times. In order to guarantee our low pre-owned vehicle prices,Lauria Hyundai has taken advantage of best in class software to track over 20,000 pre-owned websites. As you do your comparison shopping,you will see Lauria Hyundai offers some of the best value in the market. We will provide a CARPROOF vehicle history report and explain how we arrived at our price. We may not be the lowest,but if you want to know who is,we will show you that too! No hassles,No games,at Lauria Hyundai your vehicle purchase will be fast and easy and you'll drive away with a great deal every time! **Includes $1,000 Gas Card with purchase or Finance** For work or play, this 2018 Ram is in fantastic shape, loaded with features and priced to go! Powered by a 5.7L HEMI Engine, and equipped with chrome wheels, boxliner, satellite radio, fog lights, power group, keyless entry, and much more. Comes with Clean CarFax Canada report with no accident history. Call today for more details. Offered fully certified, and professionally detailed. Fmr daily rental. ALL IN PRICING! PRICES INCLUDE EVERYTHING BUT TAXES AND LICENSING. NO ADMIN FEES! Lauria Hyundai's Everyday Value Pricing verifies our entire inventory is priced competitively in the market at all times. In order to guarantee our low pre-owned vehicle prices, Lauria Hyundai has taken advantage of best in class software to track over 20,000 pre-owned websites. As you do your comparison shopping, you will see Lauria Hyundai offers some of the best value in the market. We will provide a CARPROOF vehicle history report and explain how we arrived at our price. We may not be the lowest, but if you want to know who is, we will show you that too! No hassles, No games, at Lauria Hyundai your vehicle purchase will be fast and easy and you'll drive away with a great deal every time! 1-owner - Great value packed into the vehicle and tons of fun to drive with 5spd manual transmission. Includes new tiires and brakes, heated seats,Bluetooth,satellite radio,and much more. Finance from 0.9% - Call today for more details. No admin fees! Offered fully safety-certified,emission tested,and professionally detailed. Be sure to ask about the benefits of the Optional VW Certified Pre-Owned program including special financing rates as low as 0.9%,roadside assistance,rigorous 112-point inspection,3-month of SiriusXM,and so much more. To qualify for CPO,vehicles need to be under 7 years old and pass very strict VW standards so you know you are only getting the highest quality pre-owned Volkswagen available. Lauria Volkswagen's Everyday Value Pricing Philosophy ensures we maintain our pre-owned inventory at,or below current market value at all times to offer our customers an easy,hassle-free experience every time. We may not always have the lowest price,but we will have a great value on every pre-owned vehicle we offer - ask us to prove it to you! Port Hope's Lauria Volkswagen is a family-run dealership serving Cobourg,Northumberland and the entire Central Ontario region from Oshawa to Peterborough to Belleville. Lauria VW is proud to combine our no-pressure,customer first philosophy with the fun and exciting vehicles you have come to expect from Volkswagen. Come visit our brand new,state of the art facility to see for yourself! The Lauria Auto Group,committed to total customer satisfaction since 1984. Welcome to the Family. Panoramic sunroof, leatherette interior, backup camera, push button start, Bluetooth,dual climate control, and heated seats are just some of the great features included in this Tiguan. Come in today to test drive, it is in beautiful shape, drives great, and is a good SUV value with AWD! *INCLUDES NEW TIRES AND BRAKES* Finance from 0.9% - Call today for more details. No admin fees! Offered fully safety-certified,emission tested,and professionally detailed. Be sure to ask about the benefits of the Optional VW Certified Pre-Owned program including special financing rates as low as 0.9%,roadside assistance,rigorous 112-point inspection,3-month of SiriusXM,and so much more. To qualify for CPO,vehicles need to be under 7 years old and pass very strict VW standards so you know you are only getting the highest quality pre-owned Volkswagen available. Lauria Volkswagen's Everyday Value Pricing Philosophy ensures we maintain our pre-owned inventory at,or below current market value at all times to offer our customers an easy,hassle-free experience every time. We may not always have the lowest price,but we will have a great value on every pre-owned vehicle we offer - ask us to prove it to you! Port Hope's Lauria Volkswagen is a family-run dealership serving Cobourg,Northumberland and the entire Central Ontario region from Oshawa to Peterborough to Belleville. Lauria VW is proud to combine our no-pressure,customer first philosophy with the fun and exciting vehicles you have come to expect from Volkswagen. Come visit our brand new,state of the art facility to see for yourself! The Lauria Auto Group,committed to total customer satisfaction since 1984. Welcome to the Family.